INERIS DEVELOPPEMENT SAS is a private company hold by INERIS, the French Institute for Industrial Environmental and Risks (Institut National de l’Environnement Industriel et des Risques) which is the only shareholder. INERIS DEVELOPPEMENT has been created in June 2013 with the objective to develop the international activities of the shareholder in the field of industrial risks prevention and environment protection. Steinbeis Transfer Center Advanced Risk Technologies (R-Tech) is one of the transfer centers belonging to the Steinbeis Foundation (STW www.steinbeis.de ), established in 1971. The Foundation and its over 700 Transfer Centers offer global services in technology and knowledge transfer and it has subsidiaries, joint venture partners and project associates in 50 countries world wide. Steinbeis Advanced Risk Technologies has specialized in offering the stat-of-the-art industrial and R&D services and products in the area of risks related to new technologies (emerging risks, integrated approach). TECHNOLOGICA Group is a joint venture set up by a number of high-tech corporate partners and individual, internationally renowned, scientists and engineers, both from academia and industry. Amongst its main goals is the improved exploitation of results and know-how from previous R&D projects sponsored by the European Commission or by various UN agencies or USA-based organizations. The central task of the Center is to stimulate, coordinate and conduct research projects in the area of risk analysis, risk management and risk communication in the context of globalization and mutual interdependence with a focus on environmental, climate and health risks, as well as the innovation research on the socio-economic and institutional conditions of (technological) innovation processes. Current important projects include exploration and communication of the connections between ecological, economic, social and cultural expressions of future sustainable energy paths. 2B Srl, in short 2B, is an environmental consultancy specialised in Life Cycle Assessment (LCA) offering a range of related services like ecodesign, ecolabel, industrial ecology and environmental communication. Our philosophy consists in sharing our know-how and a personalised service, providing optimal decision support in relation to sustainable development. We joined EU-VRi in order to add the concept of Life Cycle Assessment (LCA) to the topic of Risk Management and to contribute to the implementation of LCA in Risk Management, like we did in the IntegRisk project with for instance the CCS case study. In the light of European research programmes like FP7, Horizon 2020, 2B is a suitable partner to take care of the LCA, LCC and sustainability assessment of the proposed new technology or product. As an independent and impartial institute, Allianz Risk Consulting GmbH works with clients inside and outside Allianz on damage research, loss assessment and loss prevention. Our services help plant operators and manufacturers to make risk and losses manageable. Technical safety should not be left to the quality audit phase. It has to be involved at every stage – design, production, assembly and operation. Damage analysis and loss prevention are two of our key areas of work. We know from experience that risk management requires forward thinking, and damage analysis supports this by providing valuable knowledge. New technical issues and unknown damage causes can crop up in plants and machinery. Because we have experts in a wide variety of specialist areas, we are able to take a direct and individual approach to all technical problems. We take a proactive approach to risk management by identifying, analyzing and evaluating possible risks and helping companies determine the costs of countermeasures. Emerging risks are very difficult to quantify but have a large loss potential for our clients and Allianz as an insurer. That is why a core function of Allianz Risk Consulting is to work closely with internal and external clients and partners to monitor and assess these risks and their developments in order to be able to react quickly and appropriately with adequate risk mitigation measures. CBRNE Ltd focuses on human behaviour, human factors, risk management and ethical issues as these have an overarching influence on so much of what we do. The application of human factors is based on scientific information concerning humans to the design of objects, systems and the envi¬ronment for human use. Good ethical behaviour and risk management encourages productivity, stakeholder relationships, corporate social responsibility and shareholder value. CBRNE Ltd provides competence in human behaviour, human factors and ethical procedures. CBRNE Ltd values the importance of networking as it has built its business through a reputation of providing excellence in the field of research and development within the European Security Sector. However its capabilities are easily transferred to other sectors in which EU-VRi members are active hence the broad selection of areas indicated in this organisation profile. CIOP-PIB is a legally and organizationally independent state research institution. The institute conducts scientific research aimed at new technological and organizational solutions, which are useful in the design of working conditions that conform to occupational safety and ergonomics requirements as well as determining scientific foundations for the development of socio-economic policies in occupational safety and health. CIOP-PIB’s main activities include, i.e. research and development in OSH, determination of exposure limits; standardization, testing and certification, education and training, promotion and dissemination of OSH. CIOP-PIB is the notified body to conduct conformity assessment in the area of EU directives: PPE (89/686/EEC), noise (2000/14/EC) and machinery (2006/42/EC). CIOP-PIB is an honorary member of EU-VRi through its involvement of the activities of the European Technology Platform on Industrial Safety. The remit of the registered non-profit association DIN German Institute for Standardization is to encourage, organize, steer and moderate standardization and specification activities in systematic and transparent procedures for the benefit of society as a whole, while safeguarding the public interest. The results of DIN's work serve to advance innovation, safety and communication among industry, research organizations, the public sector and society as a whole, and to support quality assurance, rationalization, occupational health and safety, and environmental and consumer protection. By agreement with the German Federal Government, DIN is the acknowledged national standards body that represents German interests in European and international standards organizations. Many new technical systems are developed with such rapidity that standardization in its traditional form cannot adequately keep pace. Characteristic for many innovative technologies, however, is that the resulting systems are so complex that without some form of normative structuring they will not function. Such complex systems are further characterized by their development proceeding in iterative stages that do not initially produce a stable "state of the art", which it has been the traditional task for standards to document. For this reason, DIN has introduced various simplified standardization procedures with which to create normative documents faster and hence in step with rapidly developing technologies. This involves a proactive approach to questions of standardization very early on in the overall process, which can then benefit from the timely formulation of recommendations on structural aspects of the developing product/system. The aim, then, is to define and agree on specifications at the R&D phase that can serve as jump-off points for further phases in the development process. The normative instruments designed to facilitate this are referred to by DIN collectively as R&D phase standardization. At DIN we’re seeking to help individual consortia to create, publish and establish international community standards. Standards support interconnectivity of experimental platforms and allow repeatability and reproducibility of scientific research. Worldwide. Ekodenge has long technical and managerial experience in the field of environment, engineering, architecture and IT, including World Bank and EU funded projects with a successful history of projects completed. Ekodenge has a proven project experience in the fields of environmental management specialized on municipal and industrial waste management, industrial risk assessment, eco- industrial parks, life cycle assessment, integrated product policy and also on institutional strengthening, capacity building. Ekodenge has extensive experience as project coordinator and partner in projects funded by various international schemes such as EU LIFE, EIP CIP Eco-Innovation Projects, FP7, UNDP and WB. Ekodenge provides consultancy services to government entities, public sector institutions, Municipalities, international organizations, NGO's and industry sector. Moreover, Ekodenge acts as an information centre for environmental, architectural and industrial research results and development. By joining EU-VRi, Ekodenge will be pleased to develop and enhance its cooperation network and potential integrating its all resources concerning environmental and industrial studies and integrated risk management at European level. KMM-VIN AISBL has been founded under the auspices of the European Commission as a single legal entity with a supranational character to offer integrated basic and applied research, educational and innovation activities in the field of knowledge-based structural and multifunctional materials. The KMM-VIN is an international, non-profit association (AISBL) head-quar¬tered in Brussels and incorporated under Belgian law. It is currently composed of 70+ members from 14 European States (universities, research institutes, large industry, SMEs, individual persons). The aim of KMM-VIN is to foster the creation of a powerful platform for research and development and industrial application of advanced materials. Processing, characterization and modelling of advanced materials designed for enhanced performance in demanding loading and environmental condi¬tions like thermo-mechanical and impact loading, high strain rates and temperature regimes, aggressive chemical environment, and combinations thereof. Such regimes are typical of applications in aerospace and surface transport, energy, biomedicine and electronics. These materials include inter alia advanced ceram¬ics, metal-ceramic composites, functionally graded materials, intermetallics, shape memory alloys, coatings, high temperature steels and biomaterials. To get the current information about the research results and develop-ments; to facilitate mobility of researchers between institutes within the Virtual Institute and industry; to participate in consortia to address the R&D needs and support research collaboration; to integrate the available human and other resources concerning risk assessment and management related to the advanced material technologies; to get better chances for EU funded projects through including the partners with risk-related expertise; To provide better opportunities for the group members to affect EU policy. The Fraunhofer IOSB has 440 permanent employees and annual operational costs of about 41 million € (2014). IOSB develops innovative concepts and application solutions in information technology. It provides sustainable solutions of advanced control and information management, monitoring and diagnosis systems mainly for industrial partners including SMEs as well as for public bodies such as environmental agencies. IOSB has over 25 years of experience in the analysis, design, implementation, integration and optimization of complex control and information management systems for distributed applications (e.g. Internet of Things and Services, Industry 4.0) using modern model and knowledge based methods. Advanced information fusion techniques are used in environmental monitoring and risk management applications. Fraunhofer IOSB joined EU-VRi in 2011 as it comprises an excellent inter-disciplinary cooperation network on risk management. The possibility to discuss risk management problems with industry, academia and public agencies from all over Europe and to propose and carry out joint research and development projects is a great opportunity and possibly the only chance to make significant steps forward in risk management. The Finnish Institute of Occupational Health is a multidisciplinary research and specialist organization in the field of occupational health and safety. FIOH is a national governmental institute covering relevant research aspects of work life and conditions of work, including surveillance of working conditions, well-being at work, physical, chemical, biological and physiological exposures, occupational medicine, psychology and stress, epidemiology, safety and organization of work. The main functions of the Institute are research, specialist advisory services, training and communications. Our clients are workplaces, citizens, government officials, occupational health services, and other organizations, which work to improve well-being at work and disseminate related information. The FIOH offers to the clients chargeable specialist advisory services, training, and information packages with which to improve the well-being of personnel at workplaces, increase the long run productivity of operations and fulfill the statutory obligations concerning health and safety. Through the Regional Offices, the services of FIOH are available throughout Finland. In addition to general solutions, the FIOH offers tools and special solutions for small businesses and sectors of activity in which well-being at work is a challenge. Qualifications and complementary training in OHS is one of the central tasks of the FIOH. The FIOH trains specialists in occupational medicine, occupational health nurses, and other OHS professionals and specialists. The FIOH offers services in the most demanding level of occupational disease diagnostics as well as in work ability and functional capacity assessments. To network with other researchers of the field and to join research consortia of European projects those are in the field of our expertise. INERIS DEVELOPPEMENT SAS is a private company hold by INERIS, the French Institute for Industrial Environmental and Risks (Institut National de l’Environnement Industriel et des Risques) which is the only shareholder. INERIS DEVELOPPEMENT has been created in June 2013 with the objective to develop the international activities of the shareholder in the field of industrial risks prevention and environment protection. With that purpose, INERIS DEVELOPPEMENT works in close cooperation with INERIS experts. Regarding the scientific activities INERIS DEVELOPPEMENT supports INERIS and other research partner by mobilizing its network which is based on the participation in the European Technology Platform on Industrial Safety (ETPIS) and in the European Virtual Institute for Integrated Risk Management (EU-VRi). 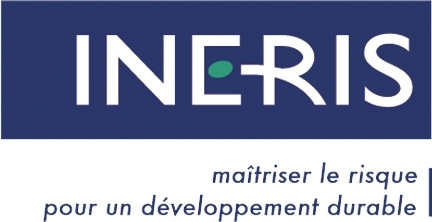 INERIS DEVELOPPEMENT is a full member of EU-VRi and a SME according to the European Commission criteria. INERIS DEVELOPPMENT has created in 2014 a subsidiary company in Algeria. This company CINDYRIS is offering services in industrial safety and environment protection in Algeria, both of the industry and the public authorities. IRGC is a non-profit and independent organisation whose purpose is to help improve the understanding and governance of systemic risks that have impacts on human health and safety, on the environment, on the economy and on society at large. To partner with scientific and business organisations active in the field of risk governance, and engage on implementation projects. Founded in 1965, ISQ is a private and independent company providing inspection, testing, training and technical consultancy. We support our customers in performance improvement and risk reduction, offering high quality and innovative services and solutions, helping their infrastructures, equipment, processes and products to meet the standards and regulations for quality, security, environment and social responsibility. Our growth strategy is based on an increasingly important and sustained presence in the world thanks to our offices, delegations and associated companies in more than 15 countries. We offer our customers a set of integrated and advanced solutions for technical inspection, consulting, testing, metrology and training to increase the availability of its assets. These services are focused on the markets for civil construction, oil and gas, aeronautics, energy, process industries, transports and infrastructures, trade and services, health, governments & public organizations. GAMMAex - RPAS for chemical and radiologic monitoring with ATEX certification (Portuguese MoD). To contribute to the improvement of Portuguese and European industry and services in Risk management by collaborating with other organisations as research entities, public agencies and regional councils and business partners in order to share knowledge and develop technology, new products and processes as well as good practices for a sustainable risk management through the maximization and optimization of human resources. The subjects concern production and control technologies, communication and computer technologies, knowledge technologies, biotechnologies, new materials, environmental technologies, nanotechnologies, and nuclear engineering. The mission of the Jožef Stefan Institute is the accumulation - and dissemination - of knowledge at the frontiers of natural science and technology to the benefit of society at large through the pursuit of education, learning, research, and development of high technology at the highest international levels of excellence. JSI as public research organization covers all major scientific disciplines in physics, chemistry, chemical technology/engineering, biochemistry as well as electronics and information technologies (www.ijs.si/ijsw/Research%20departments) engaged in a number of national and international projects (about 248), including EU FP projects (about 98). EU-VRi is seen as a forum where we can interact with other research organizations, industrial partners, and others to complement expertise, knowledge and to identify user or society needs in the fields where we can build a consortium. That allowed us in the past to participate in a number or projects, mainly related to industrial safety, environmental management and training programs. LEITAT Technological Center, a private non-profit association, is dedicated to provide services to the industrial sector, by adding technological value to products and processes. While focusing on R+D+i, based on flexible management in an "open innovation" environment, LEITAT is supporting the competitiveness of national and international companies through a driving force for the collaboration and the cooperation for technological transfer. The multisectorial ambition of LEITAT is valuable set-up allowing different technologies to be applied as a major profit for each of the particular technology. Our research divisions include: biomedicine, bio-in-vitro, nano-health and safety, nanomaterials, industrial bitechnology, new production processes, fast moving consumer goods, smart systems, renewable energies, advanced polymers, environment, surface treatments, analytical chemistry and textile technologies. LEITAT joins EU-VRi to create new business opportunities for EU funded projects and participate within the EU policy framework development. Moreover, LEITAT is looking for collaboration to fill in risk management gaps in the particular fields of expertise such as nanotechnology, environment, and biotechnology toward industrial application. NCSRD is a state owned multidisciplinary research centre, the larger in Greece, performing R&D in the area of physical sciences and technology (www.demokritos.gr). The scientific activities of the centre are organised in five institutes among which is the Institute of Nuclear & Radiological Sciences & Technology, Energy and Safety. NCSRD employs about 900 permanent and fixed-term-contract employees and its annual turnover is 30 million EURO, 50% from the Greek Government and 50% from third party contracts. The priorities of the laboratory of Systems Reliability and Industrial Systems include: Quantitative Risk assessment of technological and organisational systems, safety of industrial installations with advanced modeling tools, study of the interaction of human factors in safety and security operations, enhancing safety in the process industry through virtual reality tools and risk assessment of interconnected and interdependent heterogeneous critical infrastructures from multiple threats, technological accidents and natural hazards. Quantified risk assessment for chemical installations handling toxic and explosive substances (Including SEVESO studies). Decision Support System development for risk management, land use planning and as emergency response policy selection in major hazard accidents in nuclear and chemical installations. Reliability analysis of complex systems. Networking and collaboration in international projects in the following fields: risk assessment and management, safety, security, land use planning, industrial, occupational and nanomaterial risk. Our products range from engineering services and consultancy to research projects and testing of products, materials and substances. In research projects we cooperate with companies (large and SMEs), universities and other technology institutes. NIS is one of the biggest vertically integrated energy companies in Southeast Europe. Its principal activities are exploration, production and processing of crude oil and gas, sale of a broad range of petroleum products, as well as the implementation of energy projects. Transformation of NIS from a national petroleum company into a regional energy holding is incorporated in the company’s Development Strategy by 2020. In accordance with sustainable development as a guiding principle, NIS is continuously expanding its operations in the fields of renewable and sustainable energy (utilization of natural gas for electricity generation, wind generation and geothermal energy). Dept. Plant Design and Process Safety offers academic education in the fields of process safety, fire and explosion protection and hazard response. Focal points of research are risk analysis, consequence assessment, modeling and simulation in process safety, lab-scale experiments on fires, explosions and runaway reactions. Risk analysis consulting; consequence scenario studies; fluid dynamics based dispersion, fire and explosion simulation; testing for hazardous substances. Since EU-VRi is the principal organization to promote research projects in the field of risk management and process safety on European level. SP is a state owned company – a national institute for technical evaluation, research, testing, certification, metrology and calibration. We work closely with large and small companies, universities, institutes of technology and other organisations. SP's activities cover a wide technical range, with about 30 technology areas organised in eight inter-working technical departments and 10 subsidiaries. SP dispose of extensive experimental facilities. We are some 1400 co-workers who base our services on competence, efficiency, impartiality and international acceptance. We work extensively in international collaborations. SP strives to be a science partner within our field of competence, covering the innovation chain - from research activities to testing and certification. About 65% of our business is R&D, our focus being applied research and technical evaluation. Core competence is fire safety, explosion protection, mechanical/structural safety, active safety (vehicles/transport), materials. SP wants to play a role in creating safety for the future in Europe. It is an important task that needs international collaboration, and we believe that EU-VRi can get relevant organisations together. Current projects deal primarily with issues like integrated management of risk related to new technologies, governance and regulatory aspects of risks in industrial plants (power, process, etc.). The Steinbeis-Stiftung für Wirtschaftsförderung (StW) is the umbrella organization of the Steinbeis Transfer Network. The non-profit foundation and its subsidiary the Steinbeis GmbH & Co. KG für Technologietransfer (StC), responsible for all commercial activities involved in knowledge and technology transfer, are headquartered in Stuttgart, Germany. Within the Steinbeis GmbH & Co. KG für Technologietransfer network, there are multitudinous Steinbeis Transfer Centers (STC) focusing on various key areas. Our Research and Innovation Centers (SRC, SIC) are specialized in several kinds of research: market and transfer-oriented, commissioned, development and transfer network research as well as projects of a charitable nature. Consulting Centers (SCC) are experienced, insightful points of contact for business consulting, evaluation and training. The Steinbeis University Berlin provides in its Institutes (STI) transfer oriented research as well as competence-oriented training and employee development. Applying research findings by translating scientific insight directly and indirectly into professional solutions pertinent. Making specialist knowledge available through Steinbeis publications, events and, in particular, Steinbeis enterprises. Expanding competence by providing services in the fields of Consulting, Training and Employee Development, Research and Development, and Evaluation and Expert Reports. Operating as a network based on a decentralized structure marked by flat hierarchies. Addressing public needs with private enterprise solutions in delivering projects and providing services, Steinbeis sees itself as a partner to the public sector. SINTEF is a broadly based, multidisciplinary research concern that possesses international top-level expertise in technology, medicine and the social sciences. SINTEF has clients in about 60 different countries. Department of Safety Research provides in-depth understanding of how to assess, monitor and control risk of major accidents focusing on the interaction between people, technology, organization and safety. The research group has strong interaction with major oil companies, service companies, engineering companies, and consultancy companies within risk management. SINTEF develops knowledge, models, methods, databases and standards for effective and proactive handling of safety and reliability. SINTEF's ambition is to grow in the international R&D market. EU-VRi provides an important network to European industry, research community and/or public authorities, and act as an information centre for research results and developments. As partner in EU-VRi, we have better chances for EU funded projects. Swiss Reinsurance Company Ltd, generally known as Swiss Re, is a Swiss reinsurance company. It is the world’s second-largest reinsurer, after having acquired GE Insurance Solutions. The company has its headquarters in Zurich. Swiss Re Reinsurance provides Property & Casualty and Life & Health clients and brokers all over the world with reinsurance products, insurance-based capital market instruments and risk management services. CORSO (our direct insurance arm) offers more than 40 products across a broad array of sectors, from sole-proprietor law firms to Fortune 100 companies with complex property, casualty and financial service needs. Swiss Re’s Admin Re® is a recognised force in closed life business. It takes on closed books of in-force life and health insurance business, entire lines of business, or the entire capital stock of life insurance companies. We want to stay up to date with respect to integrated risk management, safety and emerging risk issues. Beside that we highly appreciate the networking aspect with EU-VRi members. Technologica Group - European Technical Joint Venture c.v.
TECHNOLOGICA Group, a European Technical Joint Venture based in Belgium, but with representations in various European countries and abroad, is a joint initiative from a number of high-tech corporate partners and individual -internationally renowned- scientists and engineers, both from academia and industry. Amongst its main goals is the improved exploitation of results and know-how from R&D projects previously sponsored by the European Commission or by various UN agencies or US-based organizations. Partners and co-workers include former scientists or staff members from e.g. Cambridge Univ. (UK), SRI International (CA, USA), MPA Stuttgart (D), KULeuven (B), RPI (NY, USA). The current activities concentrate on three different areas: technical audits, general engineering and management services and systems, and electronic media and advanced information systems. The Department of Chemical Engineering from Universidad de los Andes is committed to the progress of Colombian society. Recognized for his contribution to the formation in the area of chemical engineering by leading the multiscale approach in the design of products and processes. This department accounts with the research group of Products and Processes Design Group (GDPP) where the safety process group is highlighted. The safety group was created on the year 2008 and since then has devoted the work of undergraduate students, magister students and professors to the process safety research and development at Colombia and Latin America. The main products/services of the Chemical Engineering Department of Universidad de los Andes in particular the safety group leading by the PhD Felipe Muñoz is focus on the research and development of safety process and risk management, major industrial accidents and consequence analysis. As is stated by the CEO of the EU-VRi Aleksandar Jovanovic “The European Virtual Institute for Integrated Risk Management (EU-VRi) is the European organization which provides the highest quality of professional service, consulting, information and education needed in the broad area of modern integrated risk management”. This mission goes in the same direction from the process safety group of the Chemical Engineering Department, which has been characterized by researches development of different risks calculations such as individual or social risk, applied on real cases. As interdisciplinary research center ZIRIUS acts as a bridge between the departments and disciplines. Its major goal is to conduct problem-oriented research projects and to pursue a transdisciplinary approach to tackle complex research challenges. The center was founded in 2012 by the University of Stuttgart. The previous Research Unit on Risk Governance and Sustainable Technology Development (ZIRN) has been integrated into the center. ZIRIUS envisions technical and social change such as the energy transitions towards sustainable practices as a dynamic interaction of interdependent systems consisting of Technology, Governance, Organization and Behavior. The understanding of the interaction of these components requires the cooperation of natural and technical sciences to explore the technological characteristics and their interaction with natural processes; economics (for the efficient design of the change process); social and cultural studies (to understand the behavior of individuals and groups regarding the change processes and the preconditions of an effective transition governance). ZIRIUS aims at contributing to a better understanding of the complex interaction between technology, governance, organization and behavior in the context of technological and social change. Research on risk analysis, risk management and risk communication in the context of globalization and mutual interdependence with a focus on environmental, climate and health risks. Innovation research on the socio-economic and institutional conditions of (technological) innovation processes, as well as on the economic, political, social and cultural conditions, including risks and opportunities, of socio-technical transformation processes. Exploration and communication of the connections between ecological, economic, social and cultural expressions of future sustainable energy paths. University of Stuttgart (ZIRIUS) is a Founding Member of EU-VRi. The Faculty provides the mentioned services especially in the areas of risk research and management, fire protection, occupational and process safety, industrial safety, major accident prevention, safety and security planning, protection of population in natural disasters, protection of critical infrastructure, safety and security services, environmental safety and security and safety of nanomaterials and nanotechnologies. The Faculty of Safety Engineering provides structured studies and offers studies in all three types of degree programmes – Bachelor’s, Master’s and Doctoral degree programmes. In the specialist area the Faculty provides the preparation of expert opinions in the fields of fire protection and occupational safety, advisory activities in the field of safety engineering and implementation of specialist contracts in the form of contract research. Technical background of the Faculty makes it possible to determine and verify the fire-technical characteristics of solid materials and liquid materials, lower and upper explosive limits of dust-air and gas-air mixtures, composition of materials using the thermogravimetric analysis, composition of products of combustion, parameters of automatic fire detection and alarm systems and electronic security alarm systems, and parameters of water extinguishing systems. FSE decided to joint EU-VRi a few years ago. Main goal was to propose services of the Faculty for international cooperation in area of Safety and Security. VTT Technical Research Centre of Finland Ltd is a non-profit government organi-zation. VTT is a globally networked multi-technological applied research organization. VTT provides high-end technology solutions and innovation services. We enhance our customers’ competitiveness, thereby creating prerequisites for society’s sustainable development, employment, and wellbeing. Wide-range of services related to different levels and activities in Integrated Risk Management, with a focus in smart industry and energy systems, solutions for natural resources and environment, and knowledge intensive products and services. Through EU-VRi, VTT is seeking opportunities and networks for cooperation in research and development on both EU and international level, especially on various levels of risk and opportunity management. Weconext aims at easing collaboration between experts. We develop, implement and maintain the necessary tools for the storage and sharing of data. To ease these communications, Weconext is strongly involved in R&D to outreach the state of the art and to provide solutions which are fast, user friendly and secure. the Weconext platform: it enables you to have an online space of reference to efficiently federate your network of experts, work at distance while keeping control on your data and share knowledge with a reinforced safety. the Weconext chaptered videos: we can record your events, conferences, trainings and convert them in «chaptered videos» format. This format allows you to view in sync the video of the orator, the slides and chapters. the Weconext visioconference: it allows you to do secure online meetings with video, audio and documents, without any installation on your computer. We joined the EU-VRi network to get involved in European scientific projects, to have feedbacks on our products from researchers and to be able to develop further our technologies to meet most of the needs of the scientific communities. It is also a great opportunity to work with other European partners.